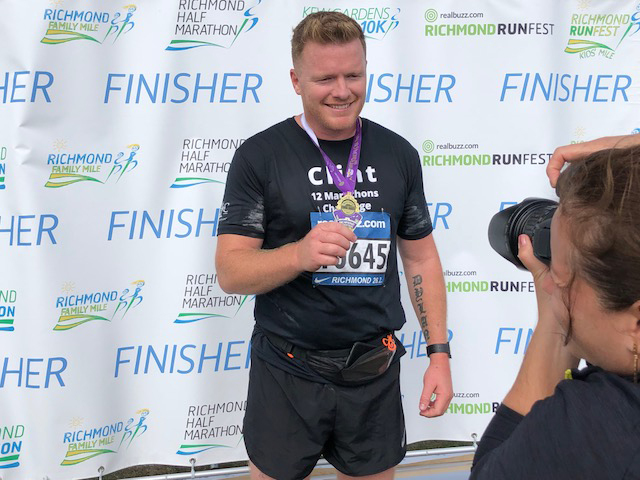 Congratulations Emma Preston, Regional Manager for The Guild, and Clint Nykamp from Fine & Country West Midlands, for completing the sixth race in the 12 Marathons Challenge. Find out how they got on in our first themed race. 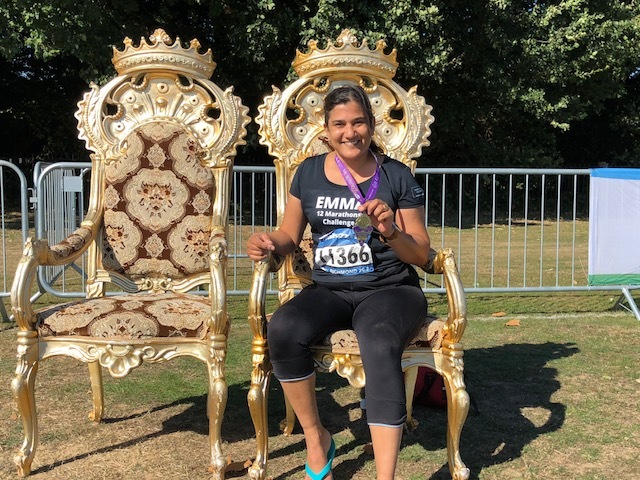 The pair travelled to Kew Gardens to meet another 10,000 runners for the Richmond Runfest. The pirate-themed day was full of lively characters taking part in lots of different races. “We finally hit the half way stage. Richmond was beautiful: from the stunning Kew Gardens to the iconic Hampton Court Palace. The marshals and supporters were amazing and it was a lovely day. “Physically, it was a real challenge, which came as a surprise because it is a completely flat course, but it felt relentless in the sun. I spent between 18 and 23 miles as the last runner, with the tail biker cycling next to me, but we came across two other runners who were in trouble and I ended up finishing in front of them both. “The course was an out and back design. There is always lots of people to run with for the first half and then as everyone double-back for the second half of the course there are fewer and fewer people to see making it quite a solitary run. Clint’s mission was to keep up with the five hour pace-maker. Through a test of physical fitness, mental strength and willpower, Clint not only kept up with the pace-maker, but beat him to the finish line. Congratulations Clint! To support Emma and Clint’s 12 Marathon Challenge for homelessness, please visit their Just Giving page here. For more information on the previous and upcoming races, please click here. 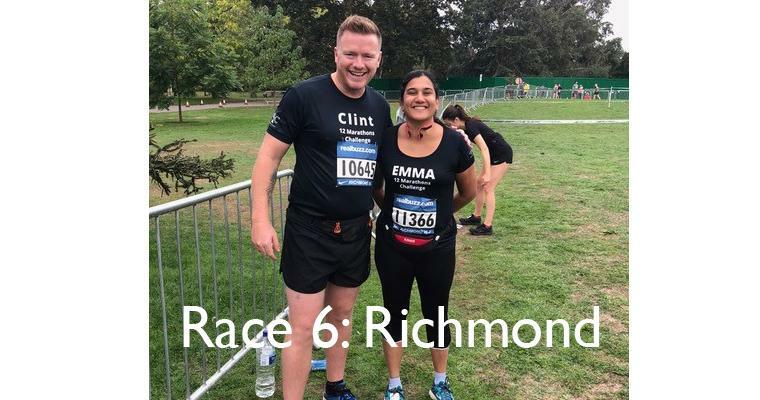 To find out more about how you can support Emma and Clint at their races, please contact foundation@fineandcountry.com or call +44(0) 20 3368 8221.